Model F-337 is another credit card model that is popular and that easily connects to any computer. 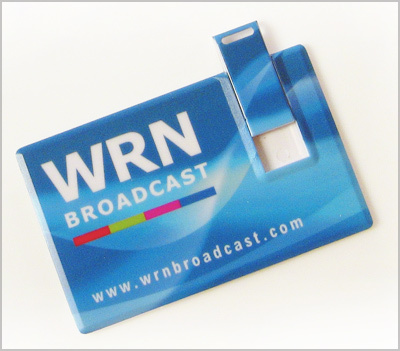 Featuring a detachable drive compartment and having an extra large imprint area, makes this USB Credit Card model an ideal choice for when 4 color process printing is required. Inches: 3.34" x 2.12" x 0.11"
Note: Pad printing area is 1.65" x 1.75". Four color process can be the entire card surface. Four color process always incurs an additional cost. Please request the artwork template for 4 color process.